This set is a is a complete babywearing set for a young mother! 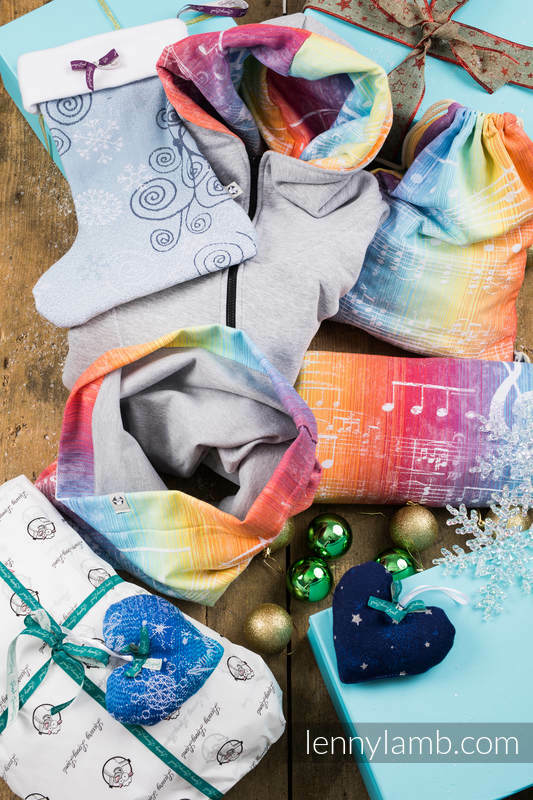 You will find here a woven wrap size M (4,6m) in our bestseller pattern Symphony Rainbow Light, a sackpack, and a snood made of the same wrap fabric. An Asymmetrical Hood in a grey melange color with a Symphony Rainbow Light finishing is the perfect complement to the set. You can wear the hood both on a daily basis and with a baby in a wrap or carrier. 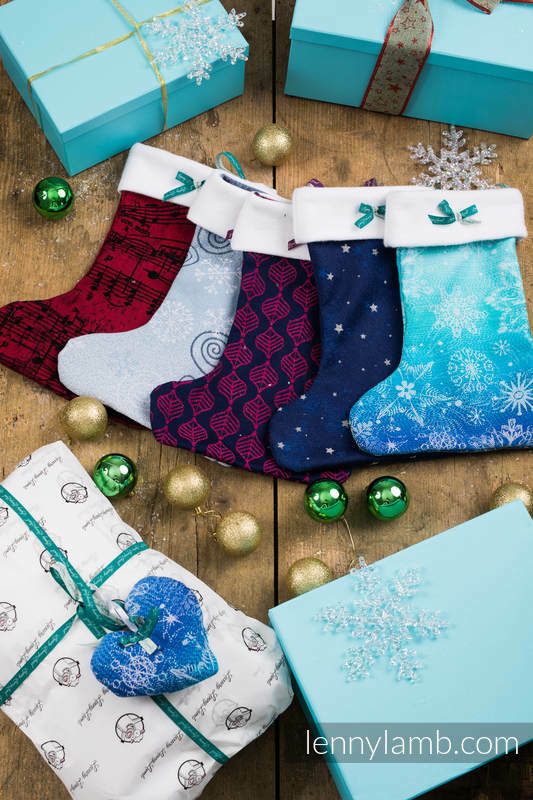 We are also adding a special Christmas stocking as well as a Christmas ornament - both handmade of our woven wraps fabric. This makes the set really special as a Christmas gadget like this is nowhere else to be found! A Christmas gift set from LennyLamb is a perfect idea for a present for a young mum, who wants to carry her baby in a wrap and look stylish every day! This pattern was chosen by Anna Lewandowska and her team! 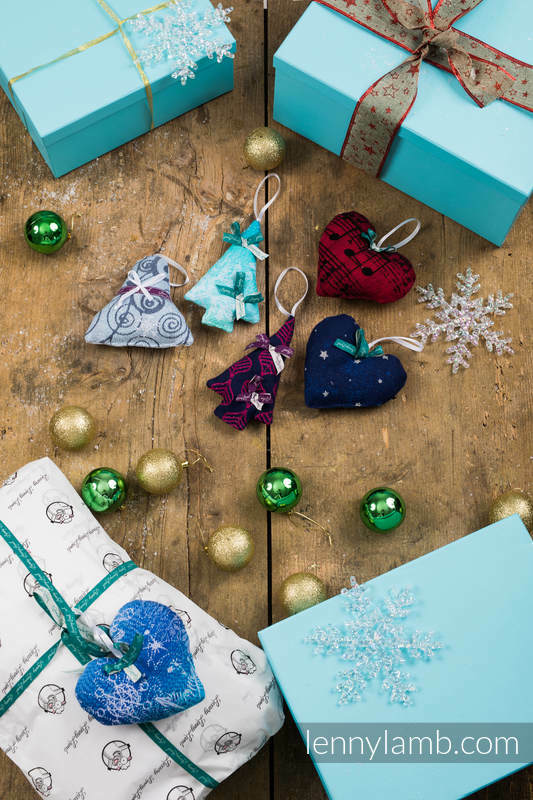 Look no further - buy a present, which will bring a smile to the faces of your loved ones! Do you enjoy that set? Take care of yourself and catch the occasion - super products at an attractive price! The Christmas ornament and stocking pattern will be randomly selected. Please email us at contact@lennylamb.com to let us know which size of the asymmetrical hoodie you would like.